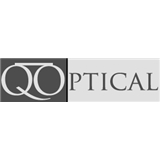 Q Optical (Boston) - Book Appointment Online! **We are only in-network with Blue Cross Blue Shield. Please be sure to take a picture of your insurance card upon booking so that you can be under your benefits otherwise it will be a self pay appointment. ** Q Optical is Boston’s optometrist you can trust and rely on! Doctor Q has the ability to look at a face and prescribe the “perfect” look that is guaranteed to having you looking edgy and elegant . . . no trend chasing here. Clients are treated to funky, edgy and elegant eye wear by Eyephorics, Oliver Peoples, Persol, LaFont, Kawasaki and our own QWare… to just name a few. The Q Optical Shop is located in Boston’s popular and busy Back Bay on the Newbury Street. Newbury Street is full of shopping, dining, and historical attractions! Read our blog for eye care tips and updates! Wonderful visit—highly professional, thoughtful and helpful. I really appreciated her clear explanations and advice, and that she wasn’t rushing through the exam and consultation. Highly recommend!